NEW YORK — Truth Wins Out (TWO) harshly condemned the Dr. Phil Show today, claiming that it exploited Toni, the mother of a transgender child, and placed her in a psychologically abusive situation — which nearly drove her to tears. The episode, “Little Boy Lost,” also falsely portrayed notorious anti-gay activists, Glenn Stanton and Dr. Joseph Nicolosi, as “experts” on gender and homosexuality, says TWO. On the show, Toni explained how she and her husband reluctantly decided to let her son transition into a girl after unsuccessfully forcing strict gender roles on the child. Such efforts backfired and her son tried to jump out of a window. Even after hearing such a real life story, Nicolosi and Stanton argued that Toni should have continued a “treatment” that nearly lead her child to suicide. Dr. Nicolosi tried to humiliate Toni on national television, blaming her parenting skills for causing her child to be transgender. Nicolosi said that her child was transgender because the father was detached and Toni was overly “enmeshed.” But, Toni’ response undermined Nicolosi’ unproven and dubious hypothesis. Stanton, who is hardly qualified to discuss gender issues, has served as a spokesperson for Focus on the Family — an anti-gay organization that believes people can “pray away the gay.” Scientists throughout the world have condemned Focus on the Family for distorting research on human sexuality. 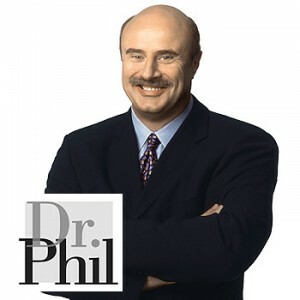 Yet, this was not mentioned by Dr. Phil. Recently, Dr. Lisa Diamond of University of Utah accused Nicolosi of distorting her work — but this information was conveniently omitted from the show. Nicolosi is the founder of the National Association of Research and Therapy of Homosexuality (NARTH). In 2006, NARTH had two major controversies. In the first, psychiatrist Joseph Berger, MD, a member of their “Scientific Advisory Committee,” wrote a paper encouraging students to “ridicule” gender variant children. In the second controversy, Gerald Schoenwolf, PhD, also a member of NARTH’ “Scientific Advisory Committee,” wrote a polemic on the group’ website that seemed to justify slavery. Truth Wins Out is a non-profit organization that defends gay, lesbian, bisexual and transgender people from anti-gay lies. TWO also counters the “ex-gay” myth and educates America about gay life.